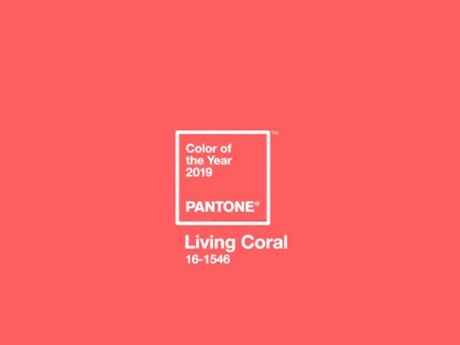 Pantone has announced its Color of the Year for 2019: Living Coral. The company calls it "a nurturing color that appears in our natural surroundings and at the same time, displays a lively presence within social media." "Pantone 16-1546 Living Coral emits the desired, familiar, and energizing aspects of color found in nature. In its glorious, yet unfortunately more elusive, display beneath the sea, this vivifying and effervescent color mesmerizes the eye and mind. Lying at the center of our naturally vivid and chromatic ecosystem, Pantone Living Coral is evocative of how coral reefs provide shelter to a diverse kaleidoscope of color." For more information, check out the Pantone website.